Once I have hair I'll be happy.' At least that's what Irish ex-army Sergeant Daniel McEvoy tells himself. As a doorman at a seedy New Jersey casino, dealing with unpleasant customers, a neighbour and a receding hairline are all part of Dan's daily grind. Then he has a particularly bad day. Not only does his one friend, dodgy doctor Zeb Kronski, mysteriously disappear, but Dan's sometime-girlfriend, casino hostess Connie, is found with a hole in her head. Dan's a hard man with a soft centre and he's been framed for a crime he didn't commit. Drawn into a deadly chain of events where a cop-killing female cop becomes his only ally and he makes an enemy of ruthless drug-dealer Mike Madden, Dan discovers that his battle against baldness is the least of his worries. 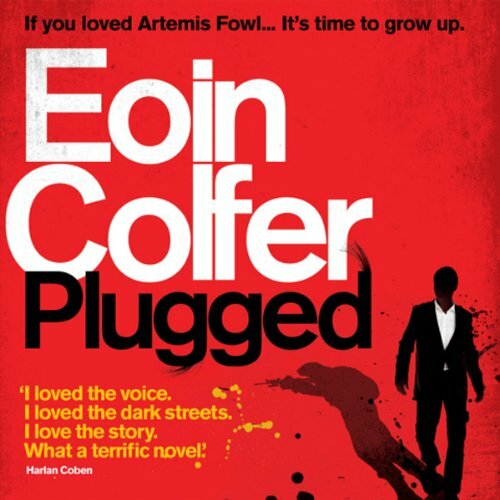 Written with the warmth and wit that make Eoin Colfer's Artemis Fowl novels so irresistible, Plugged is a brilliant crime debut from an exceptionally good writer. Normally, I get an audio book each month and listen to it over the month while travelling for work. This did not happen for this book. I started listening to it, on the second day when I got back from work I continued listening to it in the house, until I had heard it all. Great book, well read. Loved it! I loved the Artemis Fowl stories, but I just couldn't get into this one. Gave up about half way through. Sorry.